Do you think you know everything about Twitter? I seriously doubt it. 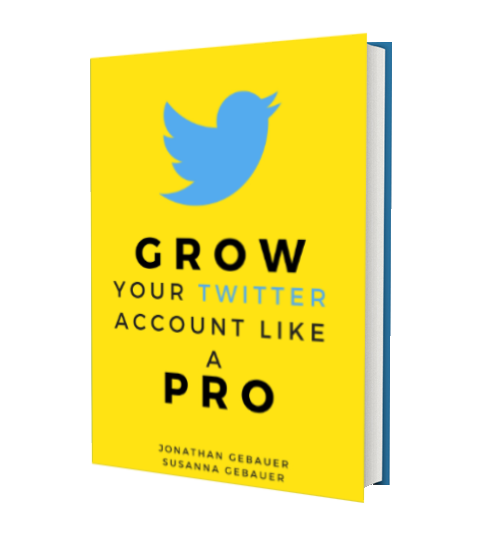 Twitter seems to be straightforward and simple in features – and basically, it is just that. But there is more to Twitter than meets the eye at first glance: More features and more innovations than most people know. Twitter moments seem to have passed by more or less unnoticed by many users. But they deserve more attention and more people using them. The idea was that often people are not interested in what one Twitter user has to say but in an event or news story and want to get all tweets related to this event. It used to be difficult to find all accounts tweeting about this event. You could put these accounts on a list an then hopefully get all important tweets about this event. With Moments you can follow an event instead of people and get all related tweets to get the full story. When the event is over you would automatically unfollow. When Twitter first released Moments, they could be created by select partners for topics like news, sports and entertainment. With Twitter moments you can now group related tweets to make tell your own stories and let your followers easily find the related tweets. Go to your Moments page directly on Twitter. 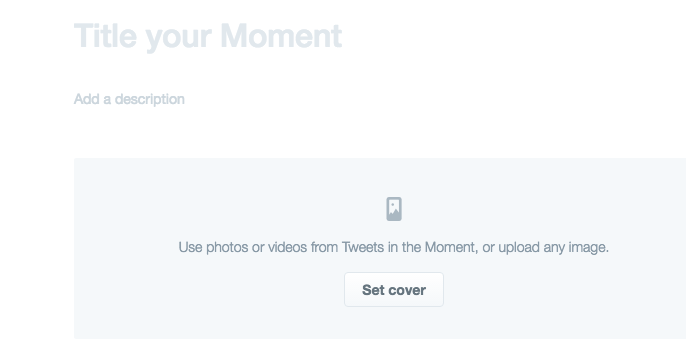 Make sure you share your newly created Twitter moment on your Twitter account. 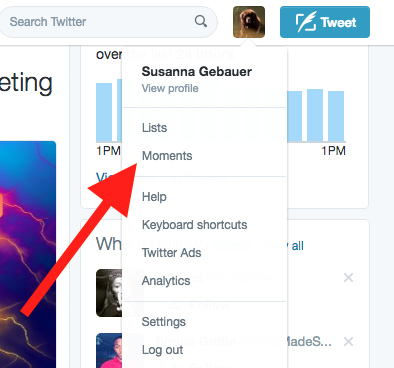 Your Twitter Moments will also show up on your Twitter profile in the moments’ section. Some of the best moments may even get featured in the moment’s section on Twitter’s main navigation or within Twitter search. 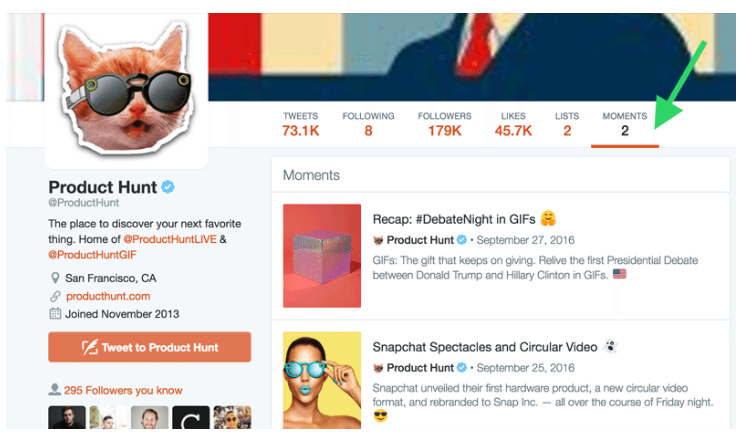 The Twitter moments feature shows some similarities to the Instagram or Snapchat „stories“ – and you can easily use them in a similar way. But since you can pull tweets from other people into your Twitter moments, you have some more options to use Twitter moments. 140 characters for one tweet often is not enough to tell the whole story. By grouping a couple of tweets together into a moment, you can easily tell stories. One example would be an article featuring several influencer opinions. We could now tweet one influencer opinion at a time and put the tweets together into one Twitter moment. For instance, we have had several articles on our blog that were part of a serious tackling one topic. We could now make a Twitter moment, including all the tweets of related articles. Twitter is a great place for discussions and conversations. While often the discussions are very interesting to followers and fans it is often hard to follow the complete discussion. Twitter moments allows you to group the tweets related to a discussion and summarize the complete picture into one moment. You can also us Twitter moments to announce an event with several speakers or a panel discussion and us a couple of tweets to announce each of the panelists. Group the tweets together into a Twitter moment and show your followers the complete picture in this moment. You can also use a Twitter moment to summarize news from various sources. Head on over to Twitter and create your first Twitter moment. Play around and try all the options. And then make a plan on how you can best utilize Twitter moments for your own purposes. Do you have an idea yet? 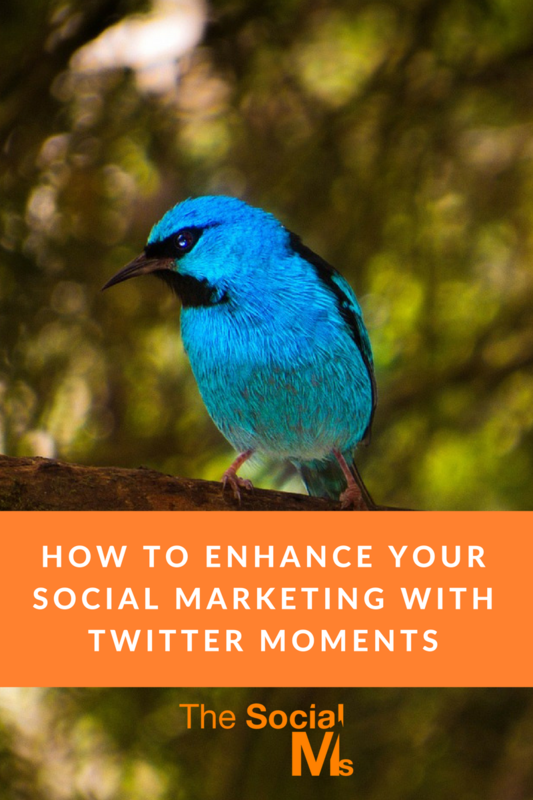 Or even better: Have you already used Twitter moments? How? 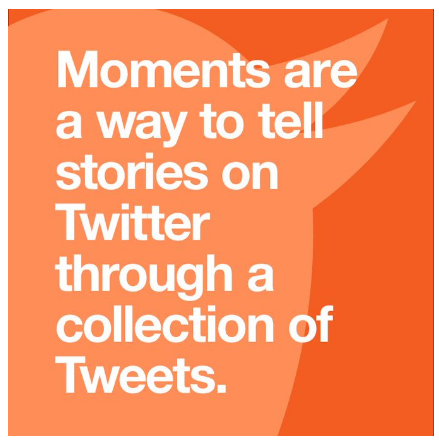 Let us know about your Twitter moments in the comments!